I am not a huge fan of trophy wines. As a consumer first, I purchase wines that are intended to be enjoyed and drunk with friends and loved ones. But as a wine geek, it’s exciting to get a chance to taste iconic and rare wines. Charine and I work hard to taste benchmark wines so that you as a reader have confidence in the more “exotic” wines we write about. Charine and I were present for the week of Premiere Napa Valley 2018. Prior to the auction, there were several tasting parties throughout the valley. The Oakville AVA tasting had some heavy hitting wines including big names like B Cellars, BOND, O’Shaughnessy, Opus One, Robert Mondavi, Vine Hill Ranch, and Harlan Estate. Harlan Estate was established in 1984 although the first commercial release wasn’t until 1990. When Bill Harlan founded the estate, he wanted to create a Californian “First Growth” type of wine. The 40 acres of vineyards that make up the wine are within the Oakville AVA. They are planted with mostly Cabernet Sauvignon, in addition to some small plantings of Merlot, Cabernet Franc, and Petit Verdot. 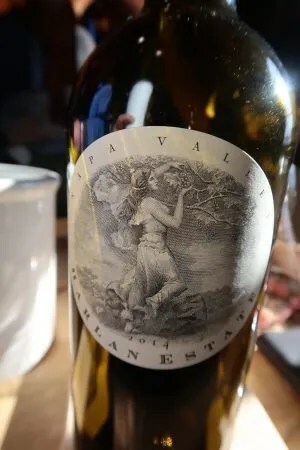 Harlan Estate is one of California’s “Cult Cabernets”. It’s not uncommon to find bottles of Harlan Estate on the secondary market fetching over 1000 USD a bottle. For most people, it’s far from an everyday wine (or even a special occasion wine at that). I have to admit that I didn’t want to like this wine. I wanted it to be all hype, all marketing. I was hoping that it was too big, too extracted, and clumsy. I was wrong, this is a head turner. What a wine! The Harlan Estate 2014 is massive and elegant at the same time. Like most of the Napa reds from 2014, it’s approachable right out of the gate. This Cabernet-dominated Bordeaux blend has tight, delineated flavors. It is floral with notes of black fruit, tobacco, chocolate, and vanilla. The Harlan Estate 2014 is silky on the palate with firm tannins. The long and citrusy finish let you know this is a masterful effort. Charine says. “it’s like a ball full of flavors massaging the palate”. Expensive? Yes, but it’s a helluva wine. The opinions expressed in this article are unsolicited and have not been paid for in any way by governmental bodies, enterprises, or individuals. 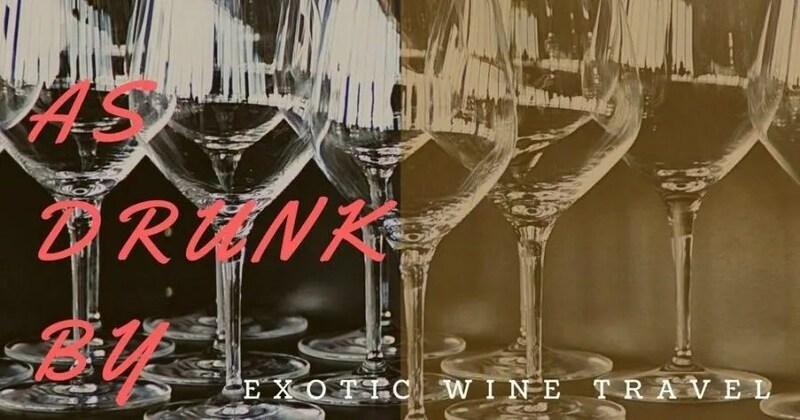 We do not sell editorial content as that would destroy the legitimacy of our reviews and the trust between Exotic Wine Travel and its readers.